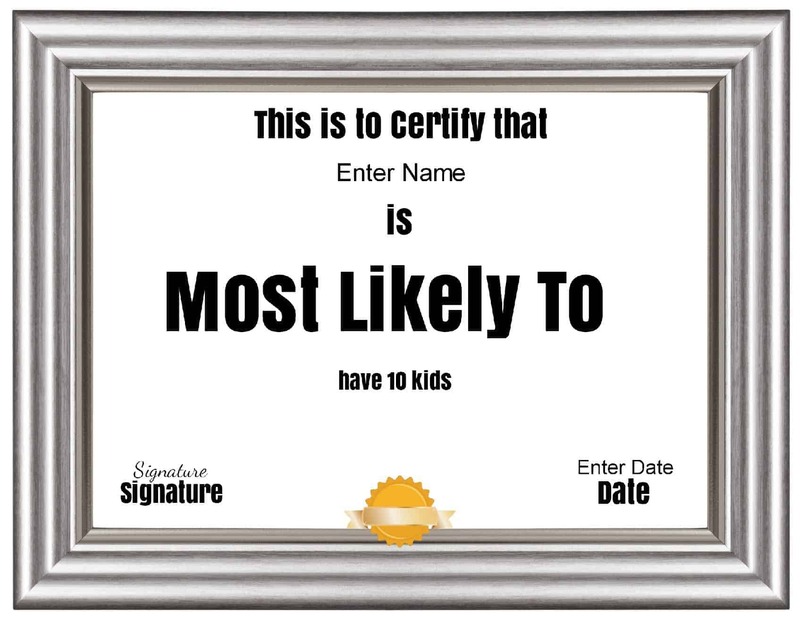 Free Customizable "Most Likely to Awards"
Use our award certificate maker to make free funny customizable “Most Likely to Awards”. 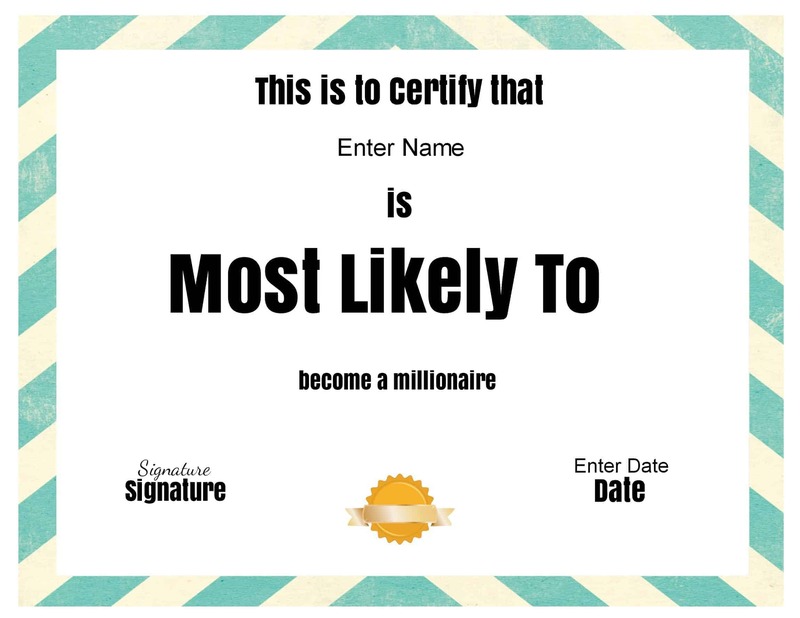 Use the “most likely to list” below for ideas or use your own ideas. Click on “customize” to start creating your funny awards. 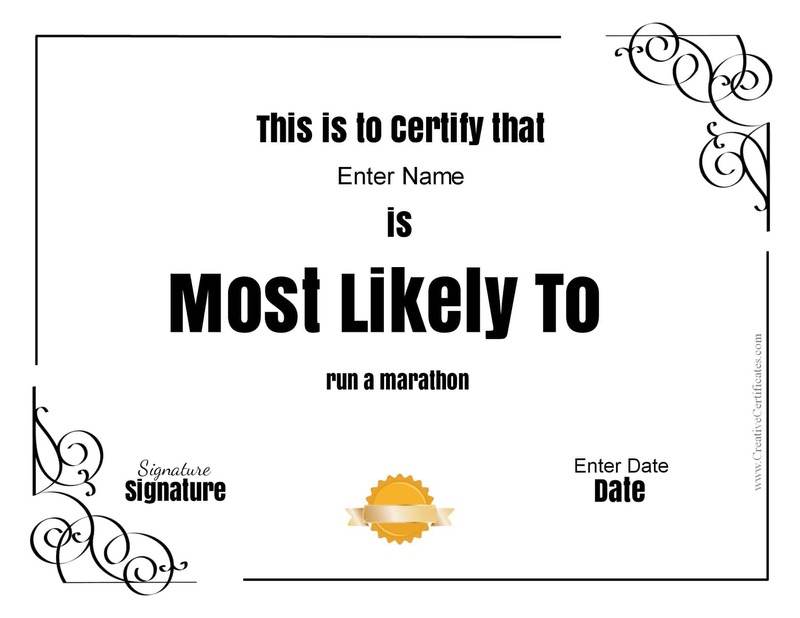 Here are some samples of our most likely to awards but please note that you can customize all text and change the frame and ribbon. 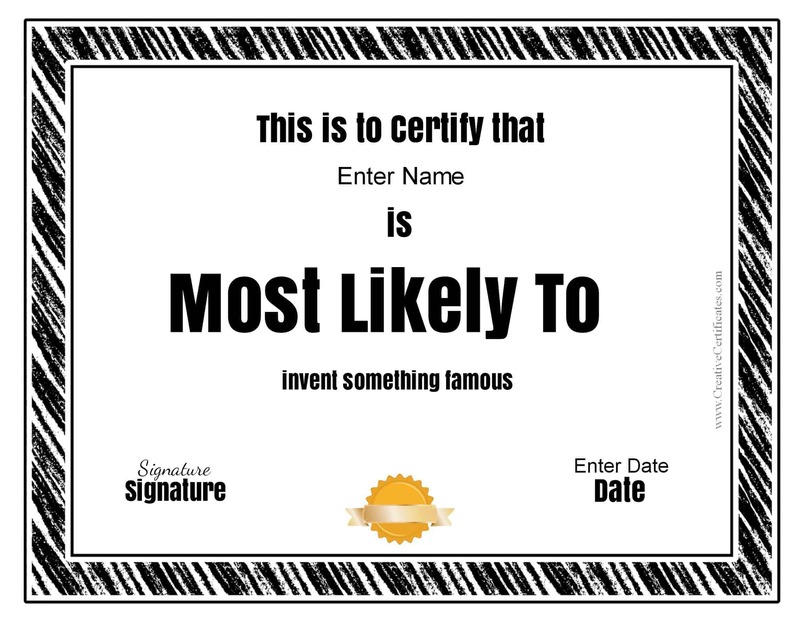 The following list will give you ideas for most likely to awards. Use these ideas or add your add.